Much as I would love to recant tales of sandstorm survivals, national radio debuts and luxury facials on this blog every fortnight, sometimes life just isn’t that exciting. Unfortunately, I haven’t been involved in a single desert disaster, impromptu media appearance or manly spa therapy over the last two weeks, so you might as well stop reading now, right? Wrong! Lucky for you, the absence of any actual events in my life has freed up plenty of my time to ponder, philosophise and, hopefully, understand one of Dubai’s most prominent heritage sites. If you have read the title of this post, you’ll already know that the multicultural melting pot I refer to is the mall. For people reading this who don’t know what a mall is (you’d better have just come out of a coma or live in the wilderness), it is basically a shopping centre where everything is bigger and where people who don’t value personal space have an excuse to breathe on your neck. Below are three of my acute Mall-based observations. Enjoy. 1. Seriously, why is everything so massive? Adopting some sort of US-inspired enthusiasm for the gargantuan, Dubai is obsessed with the massive. You may have heard about Burj Khalifa, that’s pretty tall, and The Dubai Mall is the largest in the world (and they’re extending it). Is grandiose architecture integral to the Emirate’s overarching economic ambition? 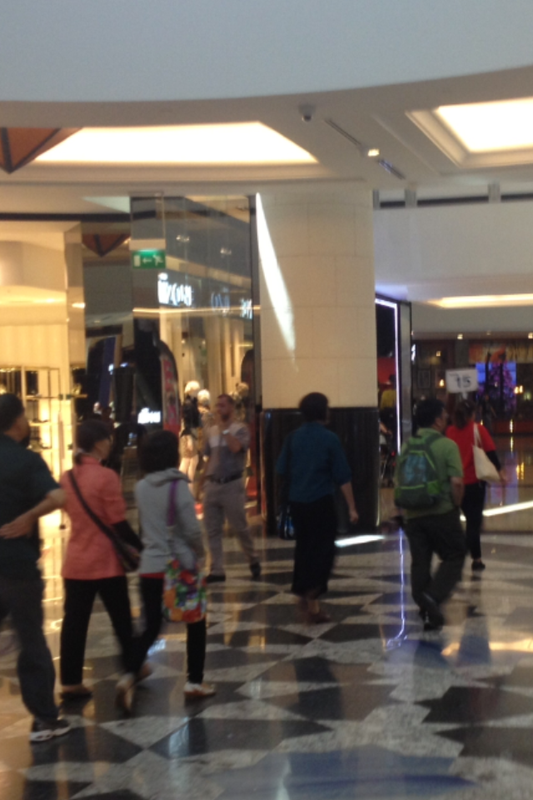 Is this part of Sheikh Mohammed’s vision for the iconic city? What impact will the 2020 World Expo have on Dubai’s development? 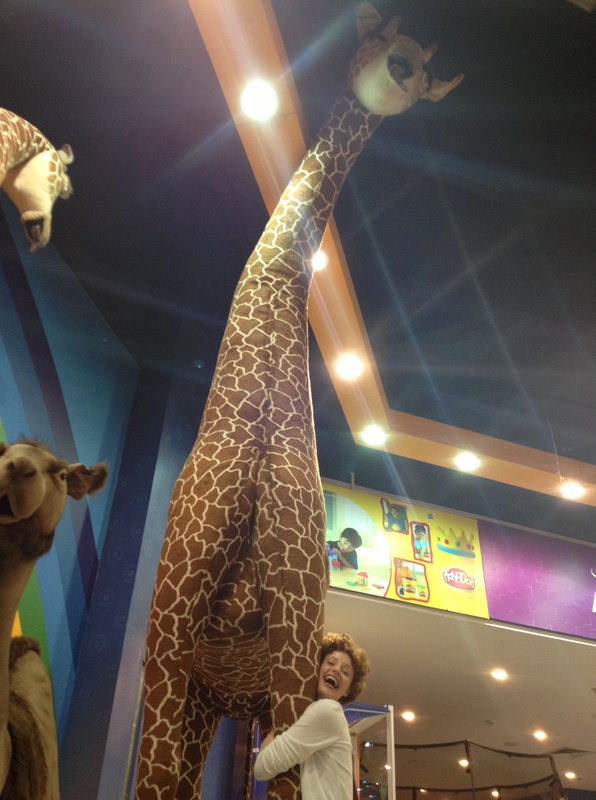 Why is this stuffed giraffe so big? 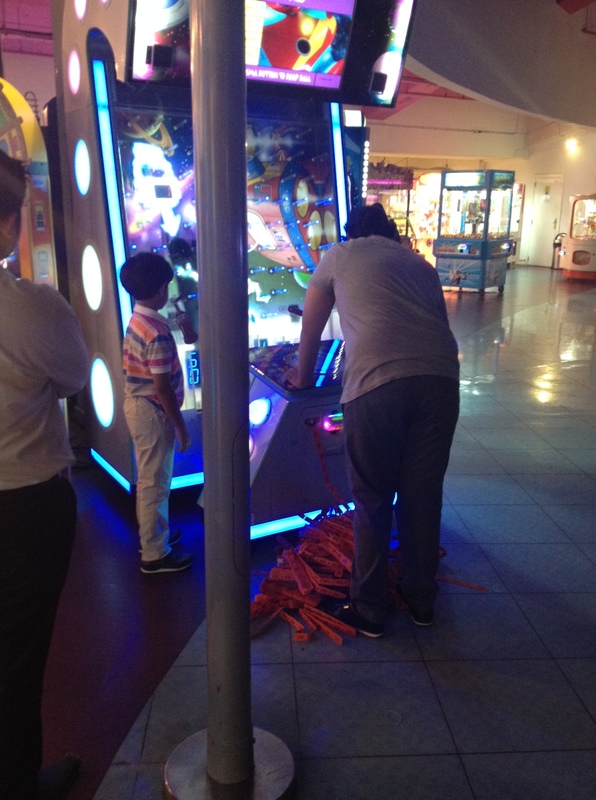 Admittedly, I love the arcade. There’s nothing better than watching a child’s dream of getting the high score on Guitar Hero disintegrate while you unblinkingly hammer intimidatingly accurate button combinations to the tune of Hit Me With Your Best Shot in front of a gathering crowd of pre-pubescent teens. If you think this reflects badly on me, tell it to my top score at the Brighton Pier arcade. In Dubai, game hard or go home. The image above basically tells the entire story. Apologies for the photo, it’s about as clear as the reason someone would pay to walk around a mall. If you squint at the lady in the orange blazer at the top right, you will see she is holding a number board. Don’t worry, if someone is separated from the group they can implement the survival skills they learnt in the pre-tour brief. Or just go to McDonalds. There you have it, my three observations and the end of the post. 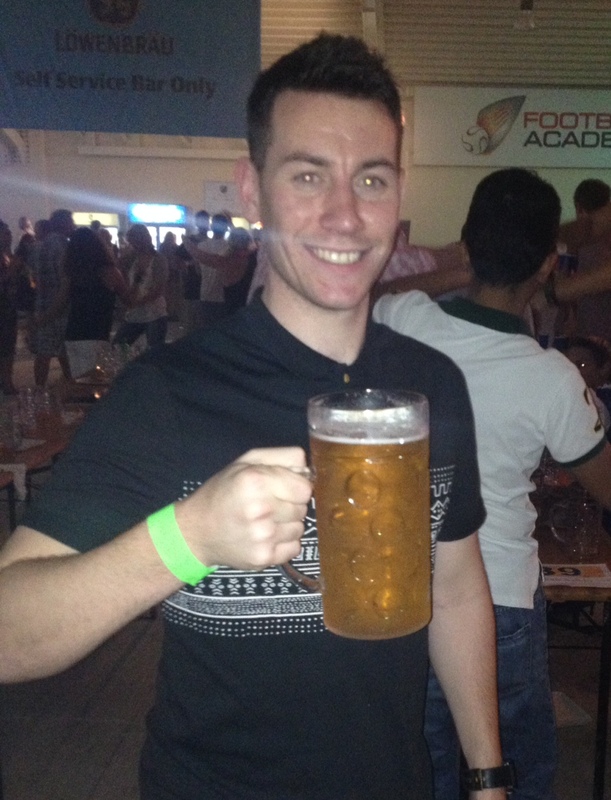 As a reward, please enjoy this photo of me holding a stein at Dubai’s Oktoberfest. I had initially intended to write about it but got pretty side-tracked so it was just sitting in my inbox, and it can’t be appreciated there can it. Thanks for reading!